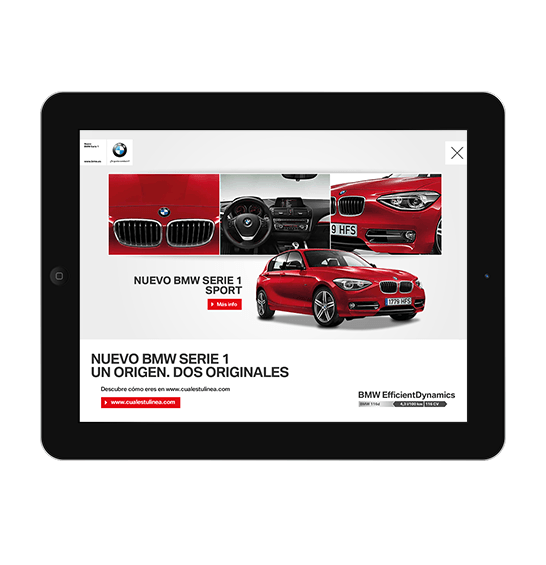 As an expert in web production, Razona has been supporting many projects, including large-sized corporate site construction, branding sites, and construction for various campaign sites where speed is of the essence. Our uniqueness lies in our business stance: we understand our clients’ business first, then we start proposing our ideas. Our most significant resource is our know-how, amassed through our experience on the cutting edge of the web business from 1996 until now. As a project partner of your company, we guarantee the highest performance. 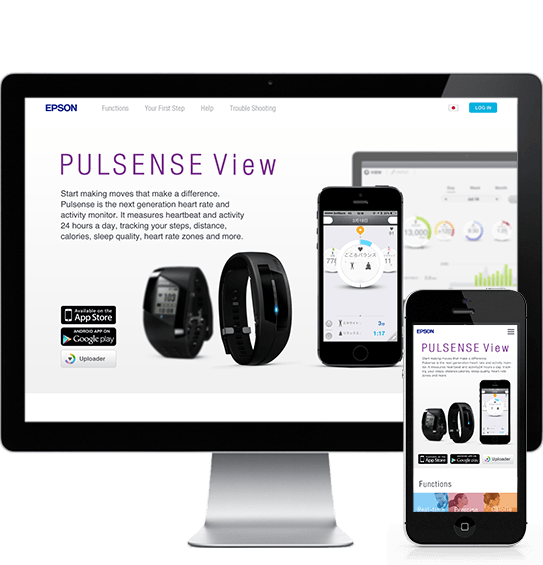 It is an app portal of EPSON PULSENSE, the life logger tool. We customize Joomla! to achieve simple management of vast information such as FAQ and Help. 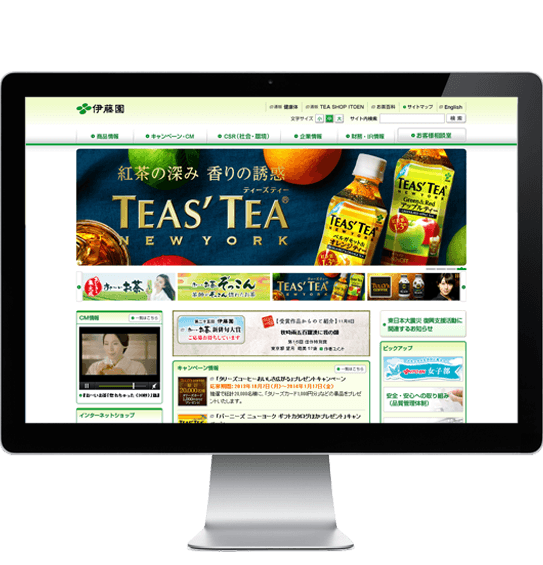 This site is available in seven regions and five languages, Japanese, English, Chinese, French, and German. We constructed a campaign site for Sapporo Beer Vietnam Ltd Company. We have been entrsuted with the brand site of “ICHIKAMI”, a popular brand of Kracie. We are also responsible for the illustration of “URUOUNGA”, a brand new character who appeared this year. We constructed a campaign site. 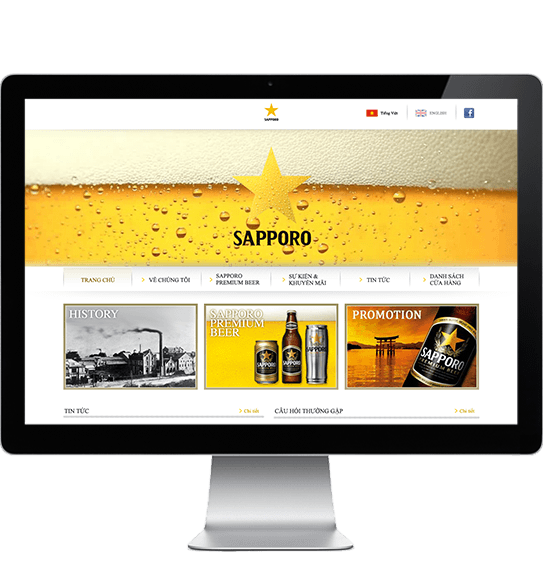 We constructed a corporate site for Sapporo Beer Vietnam Ltd Company. We renewed a website for Ito En, Ltd. Not only were we responsible for the production of its front pages, we comprehensively handled the renewal of the website, including the installation of Content Management System (CMS).